Wonder Woman (4/4) | DC finally cracks the MARVEL code... or does it even better? So far, it's almost been uncontested that MCU (Marvel Cinematic Universe) is far better than DCEU (DC Extended Universe). But finally comes a film, that not only questions that, but almost reverses the position. 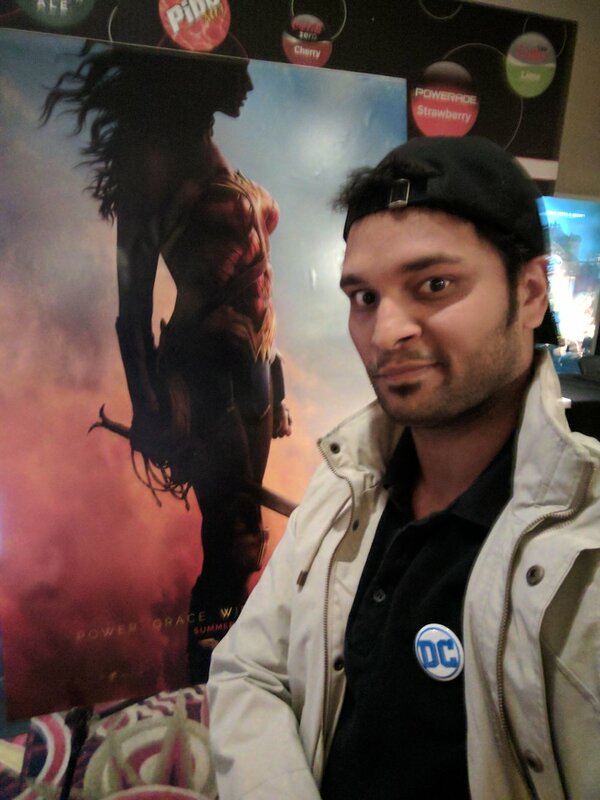 Wonder Woman releasing this Friday, is a marvel in many ways (pun intended!). A major studio superhero film, lead by a female superhero - Wonder Woman, and directed by a woman - Patty Jenkins. This makes Wonder Woman the first summer tent pole superhero film directed by a woman, and Jenkins is the first woman to direct a superhero film with a female protagonist. And so far, it's the highest rated superhero film on Rotten Tomatoes , at 94%, beating all previous DC and Marvel films. In the film, American pilot Steve Trevor crashes on the island of Themyscira and tells Diana Prince (Wonder Woman) about World War I, Diana leaves her home to try to stop the war and becomes Wonder Woman. Sounds simple, for a superhero origin story? It is. But it's also truer to its origin material, aka the DC comics. The setting from World War II, is changed to World War I. And it follows the new storyline to tell that Diana is daughter of Zeus and Hippolyta. There is a reference to her being made from clay, and given life by Zeus, to honor the original storyline, and it also serves as a plot device. Her life-mission is to stop and destroy Ares, the god of war. So she spends the film searching for him, eventually finding him and fighting him, and maybe destroying him. What makes this film stand out is the tone of the film first. Thankfully it doesn't follow on the footsteps of Zack Snyder's Man of Steel or Batman v Superman. Patty Jenkins proves that DC films can be cool, funny, spirited, and not-superdark but still full of kickass action & fun. She sets up a new tone and new standard for DC films. This film is reminiscent of the first Captain America film or even Avengers, in that sense. The storytelling is crisp, with lot of humor, emotion and amazing action. There is frequent commentary on several social issues from gender bias (the amazing scene with Diana trying several dresses in UK, or going into parliament, or springing to action in war), racial issues (being brown or indigenous) , war and peace etc etc. The film does not become preachy though, but just presents those issues as part of the narrative. In the center of all this is our lead, Gal Gadot as Wonder Woman aka Diana Prince. This is undeniably a shining star under her belt (pun intended, again!). Whether its being a fierce warrior, or naive princess, or a fresh off the boat immigrant in London, she rocks in every scene. Her performance makes the film better than what it already is. Chris Pine as Steve Trevor is a close second. He's charming, worldly, impressive and definitely above-average (in his own words, seriously!). Rest of the cast is pretty well cast, and does a great job as well. The 2 actors to definitely point out will be Elena Anaya as Doctor Maru / Doctor Poison and Lucy Davis as Etta Candy. Gal Gadot as Wonder Woman. Chris Pine as Steve Trevor. Practically, the entire cast! The humor. Thanks to good writing, and performances by Gal, Steve, Lucy and Said, to mention a few, the film is funny, really funny. The action. Not surprising for a DC film, but it is good. The social commentary. Not preachy, but important for film's spirit. Congrats Allan and Patty! The accents of Amzonians. I mean, were they all immigrants with different accents? I guess so. But the accent also keeps changing, as they talk. Hello Robin and Connie? The length of the film. At 141 minutes, it's not awful, but for some it maybe lil too long. I found it short though. It's too damn good? Just kidding! Watch the film if you enjoy good action films, with humor and a heart. Don't watch, if you want to miss one of the best superhero films.